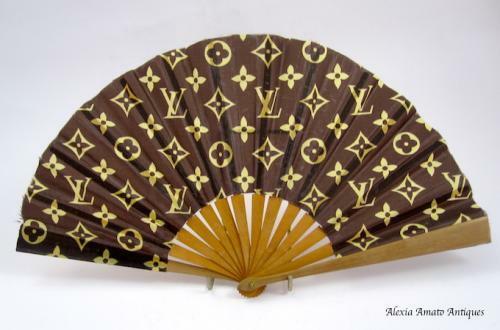 Original Louis Vuitton Monogrammed Fan. LV was Founded in Paris in 1854 by Louis Vuitton Malletier. The Label's LV Monogram Appears on Most of his Products.